Add counter block to any page/post/portfolio post. Please follow below steps to use “Counter” shortcode. Step 4: Click on Brando tab, it will show all shortcodes of Brando theme. Now click on “Counter & Skills” shortcode. 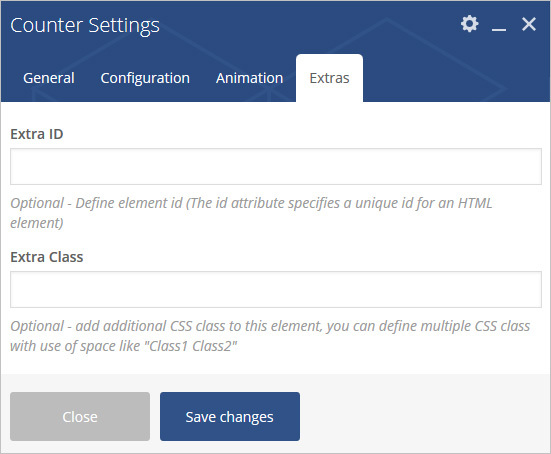 Step 5: Follow below inputs/settings and see “Counter” preview in frontend. Counter Style – Select counter style. 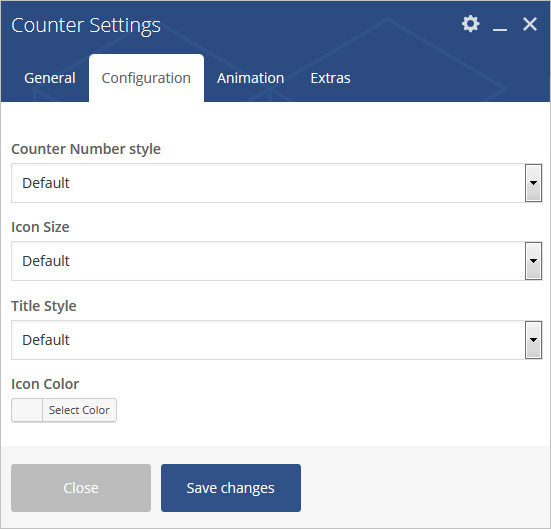 Select Counter Icon – Select icon for counter. Counter Number – Define counter number. Data Duration Time – Select data duration time. 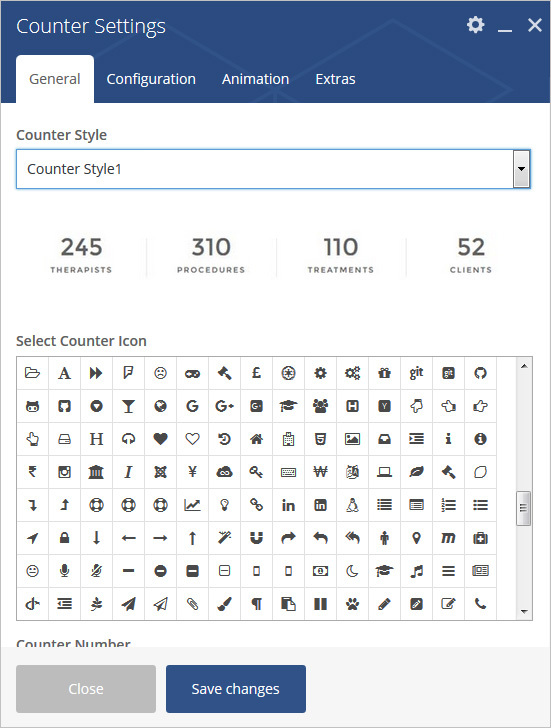 Counter Number Style – Select counter number style as white, black or set custom color. Title Style – Select title style as white, black or set custom color. 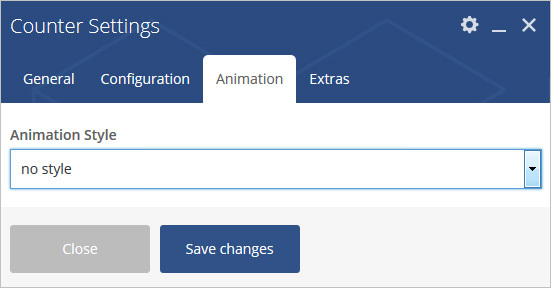 Animation Duration Time – Select Animation Duration Time as you want.